Its an AVON E PARTY! Need Stocking Stuffers or Christmas gifts?? I'm hosting an Avon E-Party for my sister in law, Trina O' Neil . She loves selling Avon and we thought we would bring you this fun little e party before the holidays come upon us all. 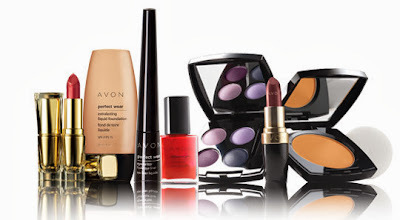 There are so many fabulous finds at Avon and shipping is FREE-that means right to your door- with any order of $30 or more! This E-Party will run from today (Nov. 14) through November 25th. I'm working on getting my order ready myself so ....If you order between those dates, all items will be there by Christmas!! So don't wait!!! Remember as an added bonus when you buy 3 lipsticks you get one free or you can choose to buy one Anew Product and get 20% off any Color product. Go to Trinas Avon site through this link, click on "eparty" and place your order. Don't forget to put KISHA all in capital letters in the code at checkout!